Sell your building or landscape project to your stakeholders. Our work in luxury real estate has translated seamlessly into creating virtual tours and renderings of high-end buildings. Whether you're planning a stunning new clubhouse on the ocean or a grand cathedral, we specialize in helping you persuade your stakeholders to approve and fund finely designed buildings that will stand the test of time. When it comes to green spaces, too, we understand both the language and the psychology of landscape design, as the founder of our firm holds a master's degree in landscape design and has done international work in the field. Whether you're working on a city park and need to persuade taxpayers and city council members to approve your landscape plan or you're designing a greenway that will weave through a suburban community, our virtual tours or lifelike renderings can help you sell your design to those who will enjoy it. Scroll down for a set of real-life examples of our work for a venerable luxury resort on Hilton Head Island... and follow the "next" links for more. Sea Pines Resort was planning an ambitious project: building a new clubhouse where its iconic Beach Club had stood for decades. 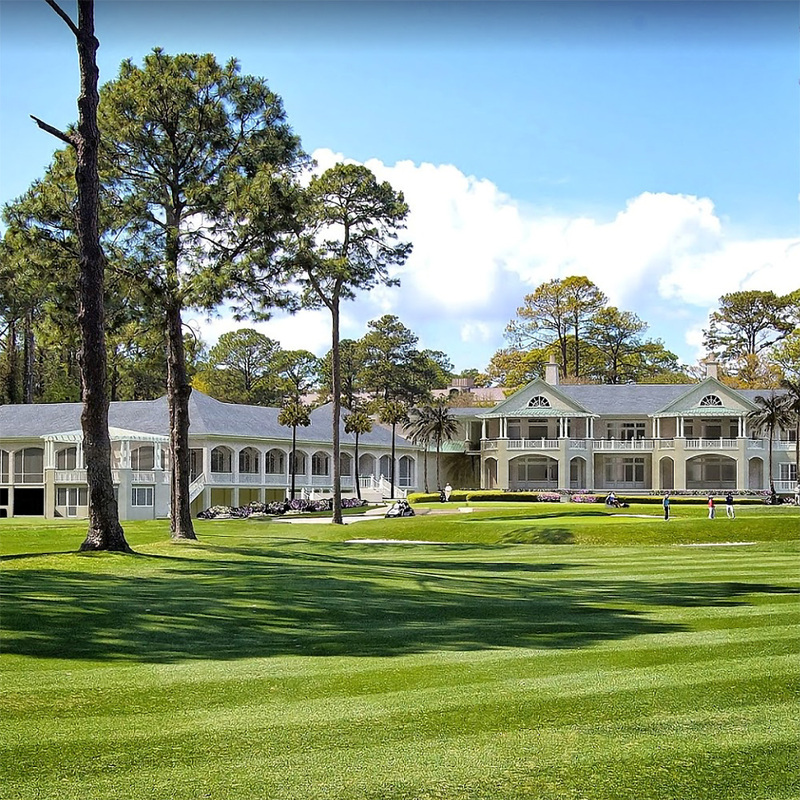 A venerable local landmark, the Beach Club had been a staple of the Sea Pines experience for thousands of guests, and residents and vacationers alike were reluctant to see it replaced. 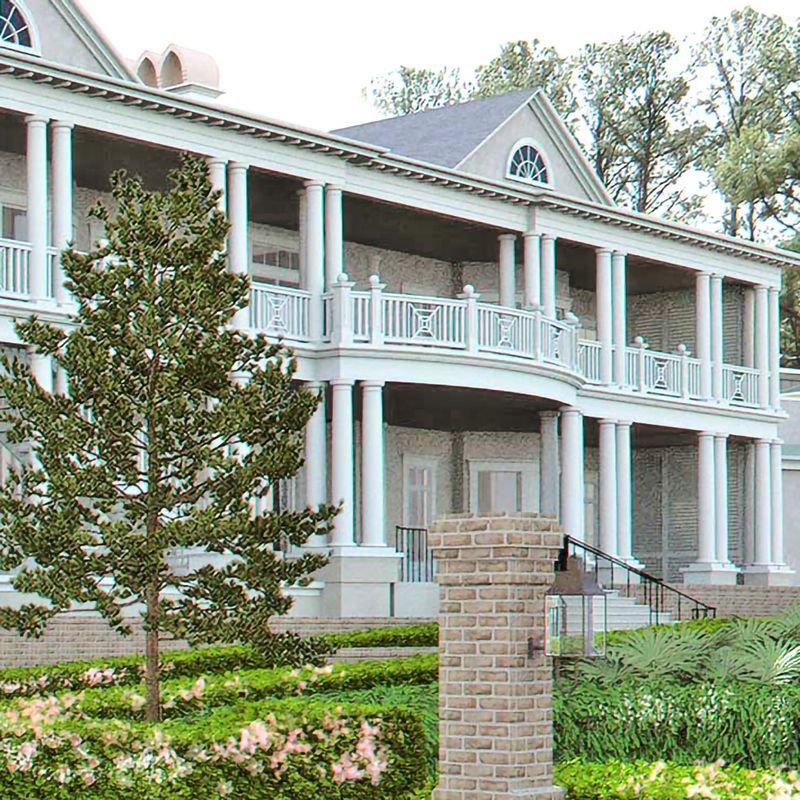 The office of development of the resort, a world-class destination on Hilton Head Island—a renowned, affluent enclave where American presidents and world-famous personalities from Michael Jordan to John Mellencamp have stayed—contacted us following the demolition of the existing club. They wanted a lifelike rendering that would show their stakeholders exactly what would rise from the site of the Beach Club. 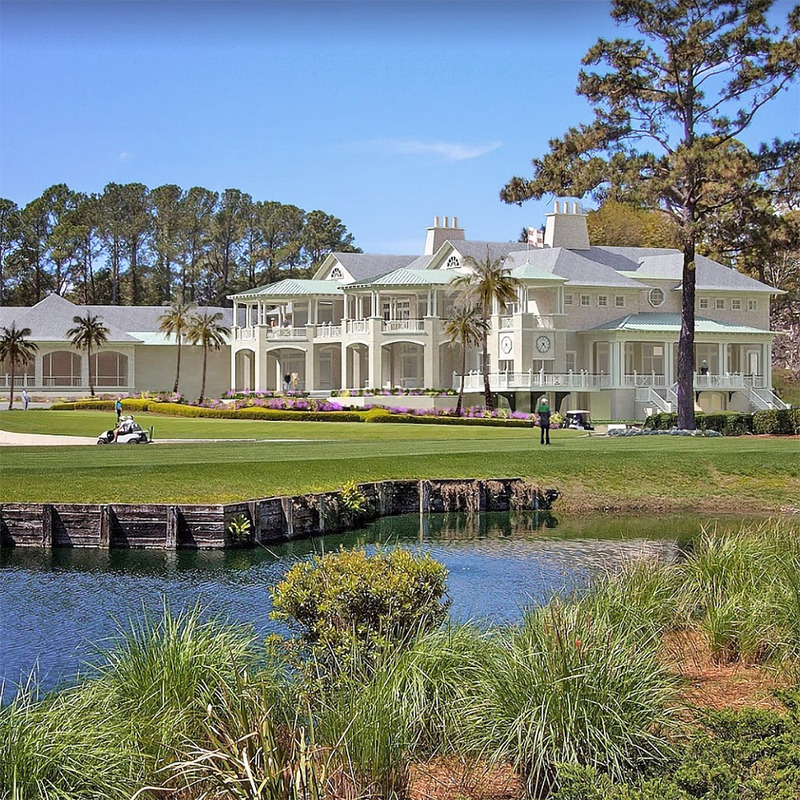 We began with taking aerial photography of the building site via drone and obtaining high-resolution site photography of the original clubhouse from Sea Pines Resort. Working from an Autodesk model provided by the architect, we added the details that would bring the planned clubhouse to life, from cedar shake shingle siding to ipe wood decking. We placed this lifelike rendering on the site and took data from the high-resolution photography and the GPS coordinates of the site to precisely recreate the angle of sunlight from the time the photo was taken as it fell on the rendered building and walkways. Sea Pines homeowners and guests were impressed by the result. The finely detailed rendering gave them the impression the new clubhouse already existed, and they were able to visualize what would become a new landmark. 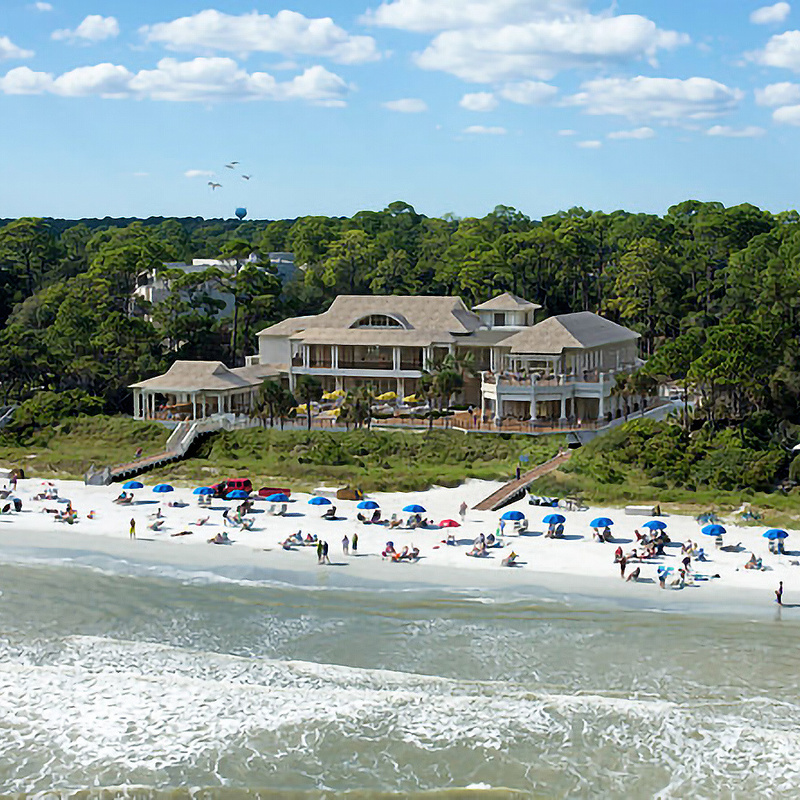 The following year, the resort trumpeted the opening of the new clubhouse to the media with the words: "Hilton Head's most celebrated leisure retreat announces the completion of the highly anticipated, new, world-class $12 million Sea Pines Beach Club." Shown above in the third row from left to right: the building site photographed by our drone, our aerial rendering of the planned clubhouse, and the actual clubhouse after its completion in 2014. Our ground-level renderings (shown in the second row above) were done in addition to the aerial view. Our success with this project led to our work on another Sea Pines Resort clubhouse: we produced renderings (shown in the first row above, just above a photo of the actual clubhouse) of a planned reconstruction of the Sea Pines Harbour Town Clubhouse, where the Heritage Golf Tournament is held each year immediately after the Masters. Designed by Grady Woods Architects, the newly built Harbour Clubhouse was named the Clubhouse of the Year in 2016 by Golf Inc. magazine. We craft virtual presentations that help your stakeholders visualize—and buy into—your building project. Sometimes a picture really is worth a thousand words. A virtual tour in 3D or video that walks your stakeholders through your new building or green space? That's even more valuable... and convincing.